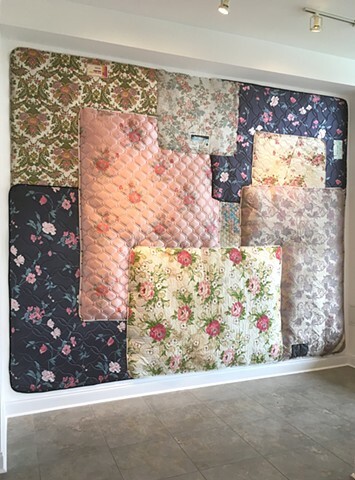 My large-scale textile "murals" are made through the collection and curation of materials that have certain shared formal characteristics. I am interested in the way certain products are made for men or for women, or for girls or boys, and the way this distinction becomes reinforced or even naturalized through the misuse of “natural imagery”. 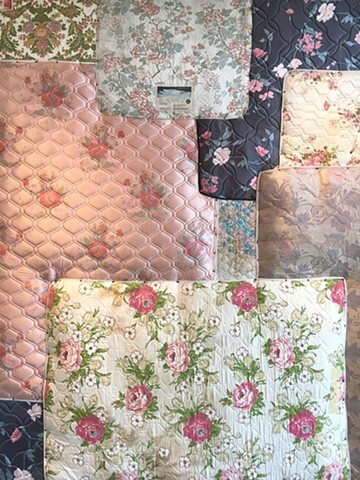 Pink Field, one such example, brings together mattress fabrics that feature the color pink, a color we all likely associate with little girls and the most dominant stereotypes of femininity. Invoking the monumental formalist paintings of the abstract expressionists, the paintings deal with issues of form and authorship, but also subvert traditional ideas about gender, materiality, and authenticity. Materials are never neutral. Their design and manufacture can expose subtle agendas and social hierarchies at work in our culture. In my work, I pick at some of the myths implicit in ubiquitous decorative motifs as a form of resistance. 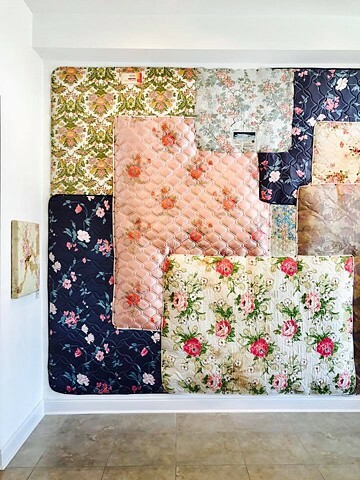 printed size 9" x 9"
Pink Field is a site-responsive wall installation created for the curated exhibition Gritty in Pink in summer 2017 at Bailey Contemporary Arts in Pompano Beach, FL. 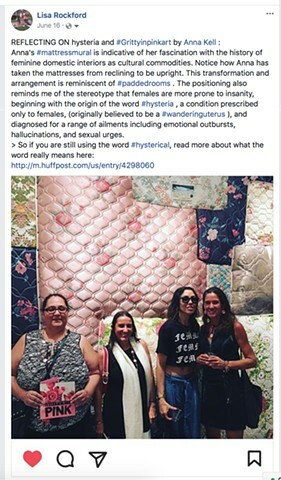 It was adapted in summer 2018 for the 59th Annual Three River's Arts Festival's Juried Exhibition at Trust Arts in Pittsburgh, PA. 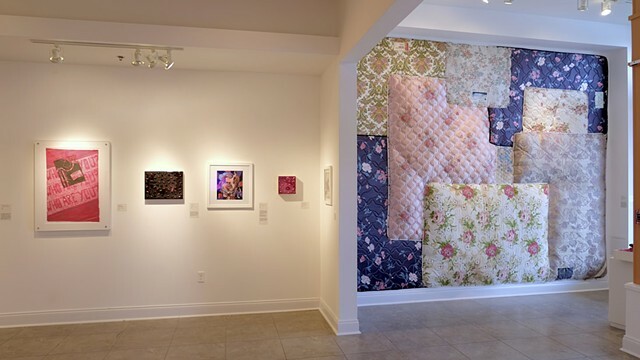 Gritty in Pink was curated by Lisa Rockford and Megan Castellon.